Jack A. Weil: At age 107, one of the oldest CEO's ever. Jack, or "Papa Jack," as he was widely known was a clothing salesman, who in 1928 fell in love with Denver, Colorado and moved to what was then a ranching town of 200,000 people. 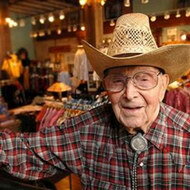 In Denver, he was involved in various clothing ventures, but in 1946, shortly after World War ll, 45 year old Papa Jack started Rockmount Ranch Wear, to produce Western clothing. Papa Jack outfitted real cowboys and he learned two valuable business lessons from them: One was that they were not fancy dressers and two; most of them didn't have much money. So the key to the success of Rockmount would be not to sell primarily to real cowboys, but to sell to people enamored by what they perceived as cowboys, such as Hollywood wannabe cowboys, New York wannabe cowboys, and eventually to wannabe cowboys all over the world. Of that image of cowboys, Papa Jack said, "The West is not a place; it is a state of mind." Over the years, Rockmount clothing has been worn by President Ronald Reagan, by Elvis Presley, Bob Dylan, Bruce Springsteen, David Bowie and Sam Smith and by Robert Redford in "The Horse Whisperer." It was worn by much of the cast of "Brokeback Mountain," and by Clark Gable, Will Ferrell and many other highly visible people. And at a time when most U.S. clothing production was transferred to China, including that of his competitors; Papa Jack produced only in the U.S.
For he believed it was essential to provide Americans with those jobs, and that by doing so, there would be more people with the money to buy his clothing lines. For 62 years, Papa Jack operated from a red-brick Denver warehouse. Even at the age of 107, in 2008, he would go into work each day from 8 am to noon, where he read business reports and he greeted people. But at the age of 107, Papa Jack passed away at home, surrounded by his family. He attributed his longevity to quitting smoking at the age of 60, quitting alcohol at the age of 90 and quitting red meat at the age of 100. However, Papa Jack did have a medicinal drink of Jack Daniels twice a week as a blood thinner. Steve Weil, Papa Jack's grandson and Rockmount's current CEO said the lesson from Papa Jack's long life is, "...having a passion for what you do. 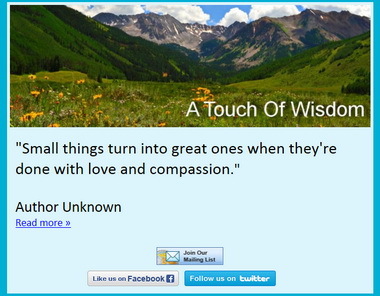 He loved what he did," and worked until shortly before he passed away. For if anything can extend our lives, it is joyfully fulfilling our purpose as Papa Jack did his. Editor's Note: To learn more click here, here and here. To learn more about Rockmount Ranch Wear click here, and to see a recent interview with Steve Weil, click here.